If you are looking to improve your health, increase your vitality, cope better with stress and whatever else is affecting your health, then use one of the best and most comprehensive approaches to natural health. My approach can be useful for anyone whether they have debilitating illness, are feeling a bit under par, need help coping with stress or just want to get back on track. I use the most advanced Asyra bioenergetic equipment to carry out a series of tests and provide nutritional information on the best foods that will suit your body. I have been practicing since 2003 after qualifying as a medical herbalist and naturopath at the College of Naturopathic Medicine in London. I am passionate about the power of herbs together with a person's own healing powers to support health. That is why I have chosen to practice herbal medicine and naturopathy. I have also made a considerable investment in the Asyra equipment so that I can also treat at an energetic level (homeopathic) as well as find out more of what is affecting the body. My approach is to look at imbalances in the whole body as well as targeting any specific illness or symptoms. With herbs, I use aspects of Chinese herbalism (TCM) as well as Western herbal practice. This means that I can combine the evidence-based and traditional Western approaches with the more energetic Eastern approaches which gives the best of both worlds. I am Vice-president of the herbal professional association - Unified Register of herbal Practitioners and a Director of the European Herbal and Traditional Medicines Professional Association. Use question box below, email or call if you would like to book an appointment or discuss anything. Many people find that even when they drink plenty of water their cells are still lacking hydration. You can drink more water, but if there is an imbalance at a cellular level, the water will simply leave the body again. The Asyra can help identify these imbalances and through Naturopathy, you will get advice on rehydration making you feel better on the inside and look better on the outside. Are you too acid or alkaline? Most people’s diets tend to make the body too acidic. This can result in many health problems including joint pain, dry skin, digestive complaints, headaches and constant fatigue. A metabolic profile test on the Asyra will indicate if your pH is out of balance and you will be given essential advice on simple changes you can make to your diet to help correct this. Are you building up toxins? The human body is beautifully designed to deal with all sorts of substances it comes into contact with and utilise the ones that are good for it and get rid of those which are bad. However with modern living, we need some help. 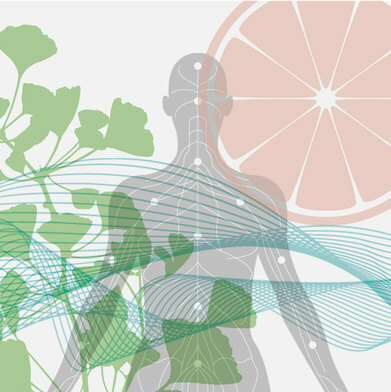 The Asyra can identify sensitivity to toxins, and through naturopathic approaches and sometimes herbal support, you can minimise toxic overload and maximise elimination of toxins. There are so many diets out there. Some are only effective for a short time while others are distinctly unhealthy. No diet can be effective without addressing how the hormones that control sugar metabolism and hunger are affected by the food you eat. A health diet should help you reach your ideal weight - neither overweight, not underweight. The HerbMark collective trademark (registration pending) designates a herbal practitioner (medical herbalist) who is a member of a professional association affiliated to the European Herbal and Traditional Medicine Practitioners Association (EHTPA) and has met their standards of education and professional practice. For herbal treatments you can trust, look for the HerbMarkwww.herbmark.uk.